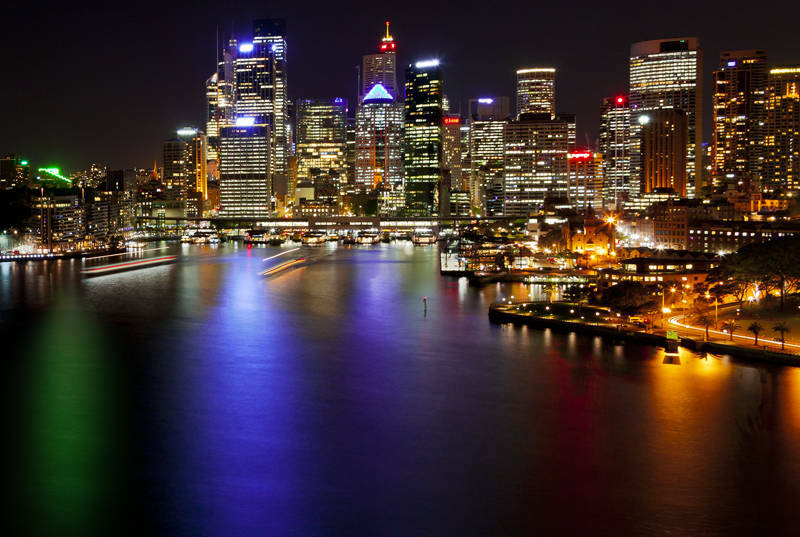 This is Circular Quay in Sydney, Australia. 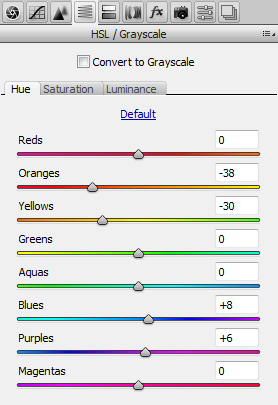 I used the HSL / Grayscale panel in the Photoshop developer Camera RAW. This allows you so shift specific colours towards its neighbouring colours. In this case I used it to warm up the street lights and push the blues towards the purples. I also added the green reflection in the water.